Designing a website can take quite some time, but who says you need to wait for months before seeing the first results of your efforts? With tools such as Coming Soon Page plugins, you can easily begin online promotion without the site fully prepared. 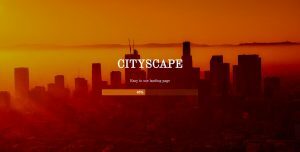 It’s a tool that hides the real work behind website construction, displaying only the basic information about the future content. However, most webmasters wonder how to find the best solution for their sites? When you enter “Coming Soon Page” in the WordPress search box, you get almost a thousand results, so it’s not easy to find the best option for your website. In this post, we will show you the six most efficient Under Construction Page plugins. Before we reveal the best Under Construction Page plugins, we want to explain what makes them so important for your online business. On the contrary, there are several other benefits that strongly influence the performance of the website even before you launch it officially. Countdown timer: Using Under Construction Page, you can show users the official launch page. Email subscriptions form: People who visit your under construction site should be given the chance to sign up to receive your emails. Cross-promote on social media accounts: Adding links to your social media accounts, you can redirect users to Facebook or Instagram and cross-promote your website over there. Create buzz: A Coming Soon Page can create the pre-launch hype among target consumers. That way, it’s easy to build anticipation and the feeling of excitement. Offer discounts: You can immediately begin with promotional activities, offering small discounts and promo coupons to the first-time buyers. If you want a quality plugin that doesn’t take more than a few minutes to handle, then Coming Soon & Maintenance Mode might be the perfect option for your website. The plugin has 40 agency themes plus the additional 31 themes in the PRO mode. Besides that, there is a gallery with over 400 thousand images. Coming Soon & Maintenance Mode also takes care of SEO, providing clients with built-in tests, checks, and optimization guidelines. It has three pricing plans – PRO Lifetime, Agency Unlimited Lifetime, and PRO Yearly – ranging from $19 to $199 annually. UnderConstructionPage is a highly intuitive plugin with numerous page templates. Each week, it releases new themes that are fully customizable through the drag and drop builder. UnderConstructionPage generates tracked inbound links with one click, so you can share them on social media or with your affiliates to pinpoint traffic with the highest conversion rate. Its annual licenses vary from $25 to $89, while the lifetime solution costs up to $250. Coming Soon & Under Construction Maintenance Page features responsive and modern design, followed by the basic elements like the countdown timer and animated coming soon text messages. All units are editable from the plugin options panel, while you also get the possibility to turn on/off any section. Coming Soon & Under Construction Maintenance Page is an open-source platform, so you can use it free of charge. WP Maintenance Mode is ideal for bloggers who want to grant website access to the registered users only. The free platform works with all WordPress themes and is fully customizable, so you can change everything from colors to texts and backgrounds. It has the usual features like email subscription forms, a countdown timer, and social media icons. Easy Coming Soon allows you to quickly create the Under Construction Page on your WordPress website by activating the plugin, setting up the page title, and adding a description. The free tool works with any WordPress theme you have installed on your site. Easy Coming Soon supports the inbuilt editor, so you can design the content without writing any HTML markups. It highlights the element of simplicity, allowing you to access the admin panel and customize all components quickly and effortlessly. The Maintenance plugin allows the WordPress site administrator to close the website for maintenance, enable the “503 Service Temporarily Unavailable” error, and set the temporary authorization page. It is highly customizable and looks good on all devices due to the responsive layout. You can add your logo, background image, text, and select the desired color to preserve brand identity. 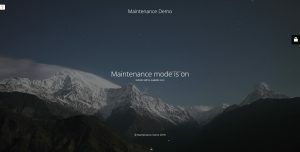 The Maintenance plugin offers an HTML/CSS layout without images, a full screen background, numerous configuration possibilities, user login with validation, Google analytics field, etc. The basic version is free of charge, but you we suggest you test the premium alternative at $26 per license. The plugins above are excellent tools that enable entrepreneurs to promote their businesses well before the official website launch. It is not, however, easy to choose the best solution among dozens of similar tools. We showed you here a list of the six most effective Coming Soon Page plugins. Make sure to give them a try and find the best solution for your site – it will help you to make the first impression on visitors and kickstart your online business.